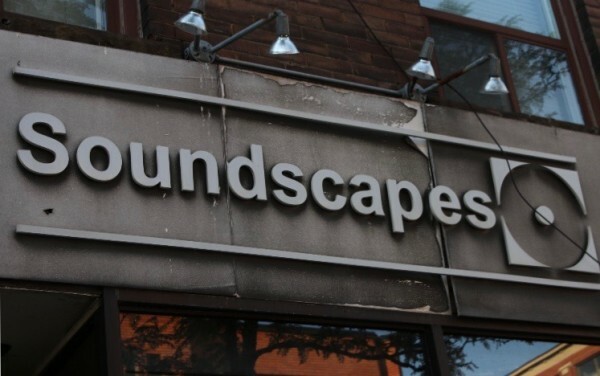 Tucked in Toronto’s Little Italy community, Soundscapes has been a fixture on the music scene for nearly two decades. 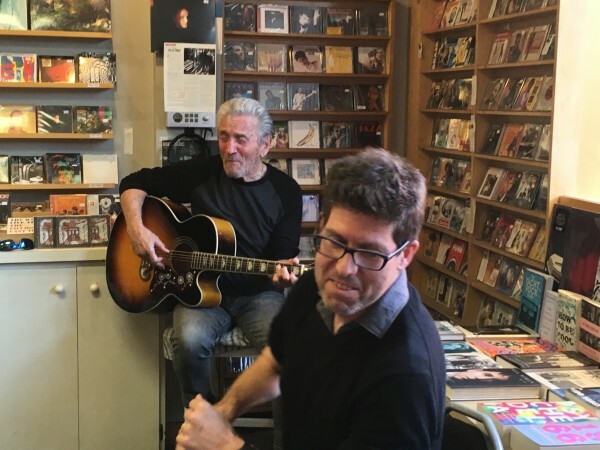 It’s a place where you can chat about a musician you’re curious about, ask advice about choosing the next album that’s right for you, pick up a concert ticket, or track down something you’ve been searching high and low for on vinyl or CD. You can also find an array of music books and magazines. 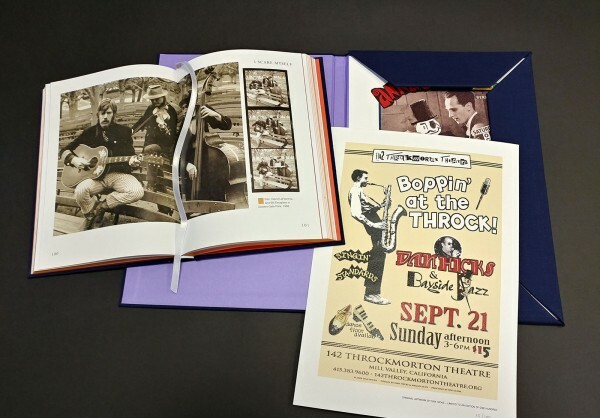 One of the books by the shop’s front display delves into the roller coaster journey of San Francisco cult phenomenon, Moby Grape. 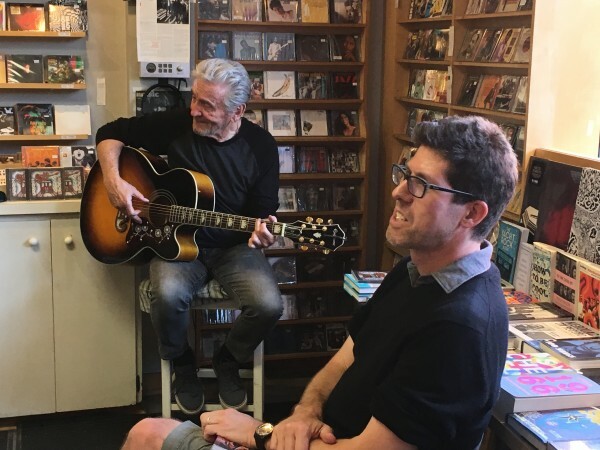 On Friday June 8, 2018, former Moby Grape drummer Don Stevenson and Grape-biographer Cam Cobb stepped into Soundscapes for an evening of music and conversation. Exactly 51 years and two days before this night, Moby Grape had their infamous debut record launch at the Avalon Ballroom. On that night, the Grape played an electrifying set, with Janis Joplin even sitting in with the band. Tonight, Don plays acoustic guitar, opening with a rip-roaring rendition of ‘Rockin’ Robin.’ Later in the evening, he plays a soft, very personal take on Lennon and McCartney’s classic, ‘It’s Only Love.’ As the night unfolds, Don shares stories from his time in San Francisco in ’66/’67, then jumps into a pair of Moby Grape classics he co-wrote with Jerry Miller, ‘Hey Grandma’ and ‘Murder In My Heart For The Judge'” Between songs, Cam reads from his book, What’s Big And Purple And Lives In The Ocean? The Moby Grape Story. Closing with a Q&A, the evening ends in a whirlwind as folks scatter into the bright lights of College St. on a warm June night. Photos by Laurene Hodgson and Katie Cobb. 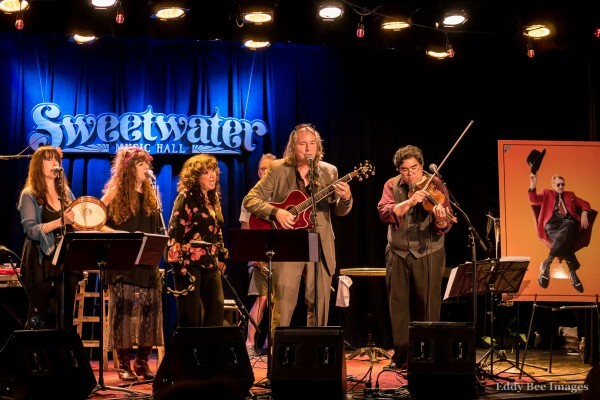 Here are some great photos of the Dan Hicks book party at the Sweetwater Music Hall in Mill Valley, CA, last month, courtesy of Eddy Bee. 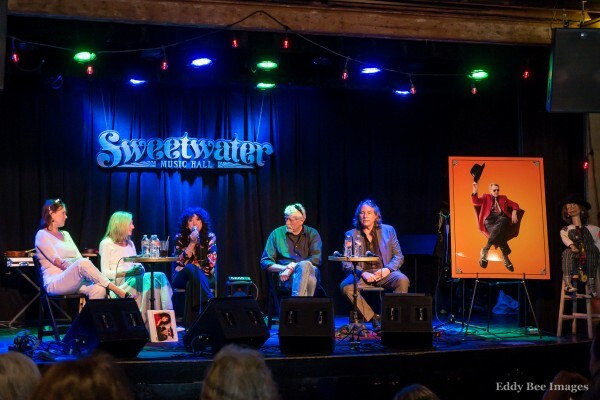 Panel discussion, left to right: Clare Wasserman, Joan Reynolds, Maria Muldaur, Kent Benedict, Paul Robinson. Maria Muldaur performs with Roberta Donnay and Daria, plus Paul Robinson (guitar) and Benito Cortez (mandolin). Jawbone Press is very pleased to announce the publication of a special collector’s edition of I Scare Myself, the brilliant memoir by the late, great Dan Hicks. Strictly limited to one hundred copies only, allocated on a first come, first served basis, it will be available to purchase from 10am EST (7am PST / 3pm UK) this coming Friday, May 5th, only from jawbonepress.bigcartel.com. Each collector’s edition comprises an individually numbered hardcover book with special fabric binding, blind-embossed spine, coloured endpapers and contrasting coloured page edging; plus a set of six unique prints of handbills with original artwork by Dan Hicks, printed on heavy art stock, each one numbered and stamped with the publisher’s seal and packed in a custom-made folio. Each set is supplied in a specially made shipping carton with protective sleeve. Finished copies will ship in June 2017. 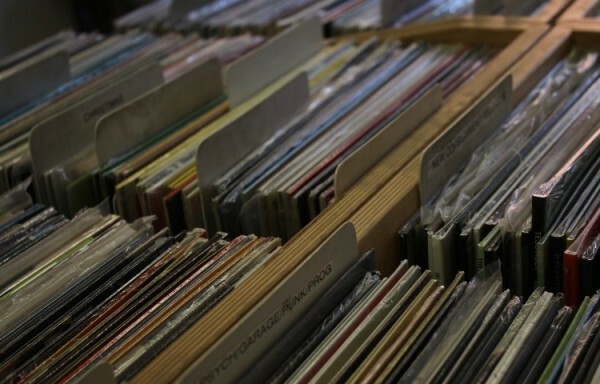 “There are lots of people who can point to music on the shelf. Some like to light candles to it, others seek only to snuff them out. Nick Soulsby’s SACRIFICE AND TRANSCENDENCE: The Oral History Of SWANS, an account of Michael Gira’s band from SWANS’ beginnings in the aftermath of NYC No Wave, through the band’s turbulent rise and exhausted denouement in 1997, to it’s triumphal and much celebrated return, to Tom Seabrook at Jawbone Press, for publication in Fall 2018, by Isabel Atherton at Creative Authors (World English). Author and Los Angeles historian Domenic Priore discusses his book Riot on the Sunset Strip, a chronicle of L.A.’s swinging sixties scene, when thousands of teenagers from all over the county migrated to the Boulevard, paraded along the jammed sidewalks, and danced to the hippest bands in the most popular clubs in the country. UPDATE April 6th 2016: The contest is now closed. Thank you to everyone who entered. The winner has been randomly selected and will be announced shortly. As you know, Andy and Burning Shed recently offered a very special limited-edition version of Complicated Game, featuring a hand-painted cover. There were only 50 of these available for sale, and they sold out very quickly. The unique nature of this edition and the work involved in creating each one meant that they were priced at £250. Realizing that this would be too rich for some fans’ wallets, Andy wanted to provide an opportunity for one lucky fan to win a hand-painted, signed special edition through a lottery. Send your full name and postal address by email to complicatedgame@jawbonepress.com using the subject heading COMPLICATED CONTEST by midnight (UK time) on April 3rd 2016. Your details will not be shared with any third parties. We will randomly choose one lucky winner, and contact them, on April 4th. We will announce the winner to the general public by April 11th. Please keep in mind that this lottery was conceived for, and is meant to benefit, someone who wouldn’t have otherwise been able to afford one of these special editions. One entry per person. In addition, those who were able to successfully order a special edition are not eligible for this lottery. Thank you for your interest in Complicated Game. You can read more press quotes, and a whole lot more, over at tinytim.jawbonepress.com. The authors will also soon be appearing on air with one of Tiny’s biggest fans, Howard Stern, on his SiriusXM show. More details when we have it.